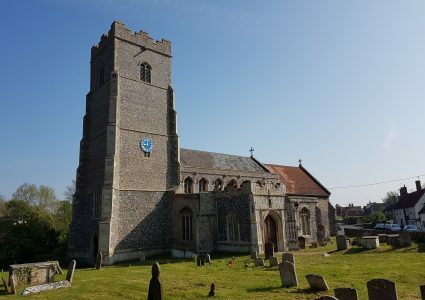 Three people have been found drowned in this Parish in the C19. Here are their details we’re aware of, and something about the person concerned. Buried November 1848 aged 58, from Great Ashfield was found drowned in this parish, and buried by the Coroners order. 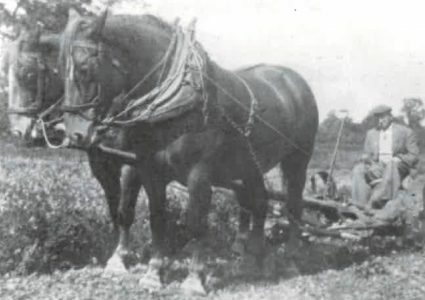 John Plummer was a journeyman bricklayer who was employed by Reuben Warren, who is described in the 1841 census as a Bricklayer in Wyverstone Road – which today would be in Long Thurlow. A “journeyman bricklayer” is a person who has served his trade apprenticeship and mastered his craft, not bound to serve a master, but hired by the day. The name derives from the French for day – jour. Buried 16th January 1862, aged 35, was also found drowned in this parish, and buried by Coroners order. 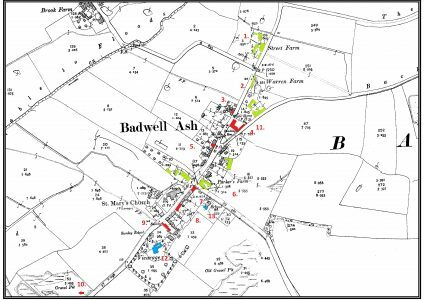 Listed as an Agricultural Labourer in the 1841 census, a Farm Labourer in the 1851 census, and a Farming Baliff the in 1861 census, he lived at Badwell Green. His grave is in the churchyard at St. Mary’s Church, next to the north east corner of the Chancel. Nest to his grave is that of his sister Maria. James Shipp married Amelia Wretham, who then married James Morley, the parish clerk of Badwell Ash for 30 years, after her first husband died. James Morley was married to James Shipp’s sister Maria, then after her death was married to Amelia Wretham. Buried 7th February 1867, aged 71, from this parish, was accidentally found drowned by the bridge which divides Badwell Ash from Hunston. He was the village Wheelwright and Blacksmith living in The Street. His premises were in what is now known as Austin Close, on the site of “Rumbles” Fish and Chip Shop.